Welcome to Barcelona! This is the 4th most visited city in Europe (after Paris, London, and Rome), welcoming more than 8 million visitors a year. 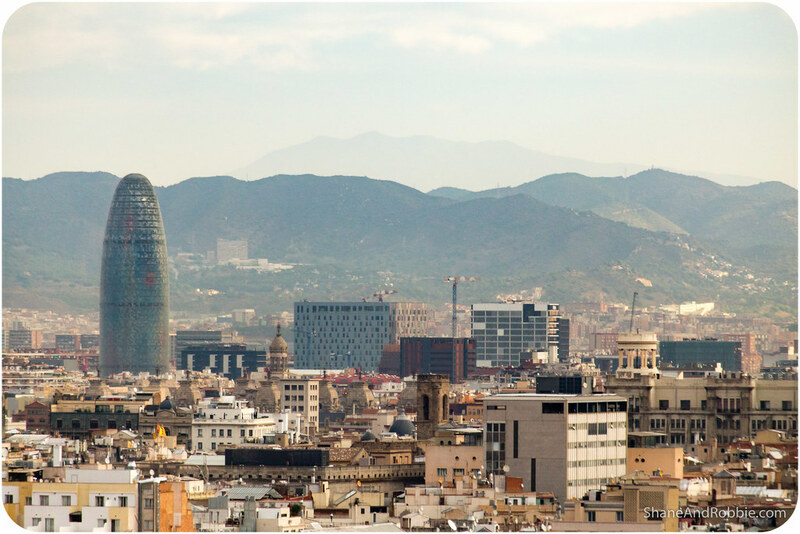 With a population of about 5 million, it’s also the capital of the region of Catalonia, and Spain’s 2nd largest city (after Madrid). 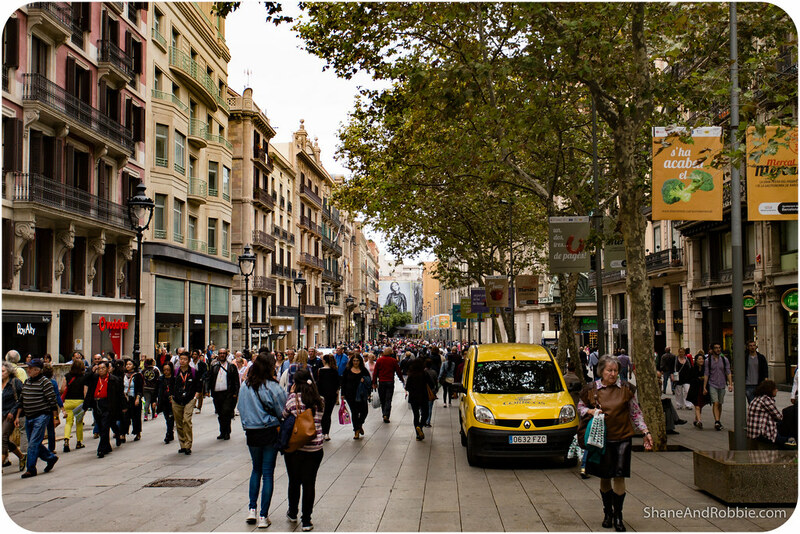 All this adds up to make Barcelona one busy place, as we discovered today! 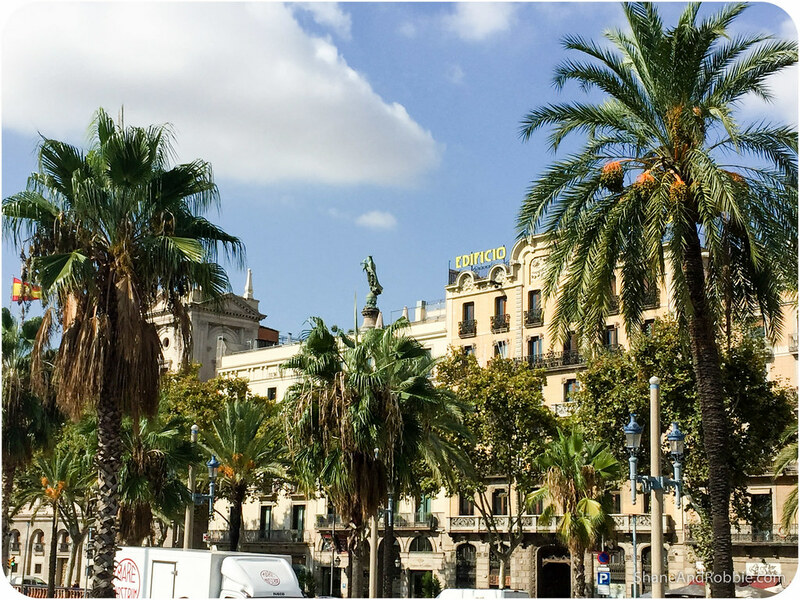 This is our first time in Catalonia’s capital city and, knowing that there is sooooo much to see and do here, we decided not to exhaust ourselves by trying and see EVERYTHING – it would be physically impossible in 4-5 days anyway! 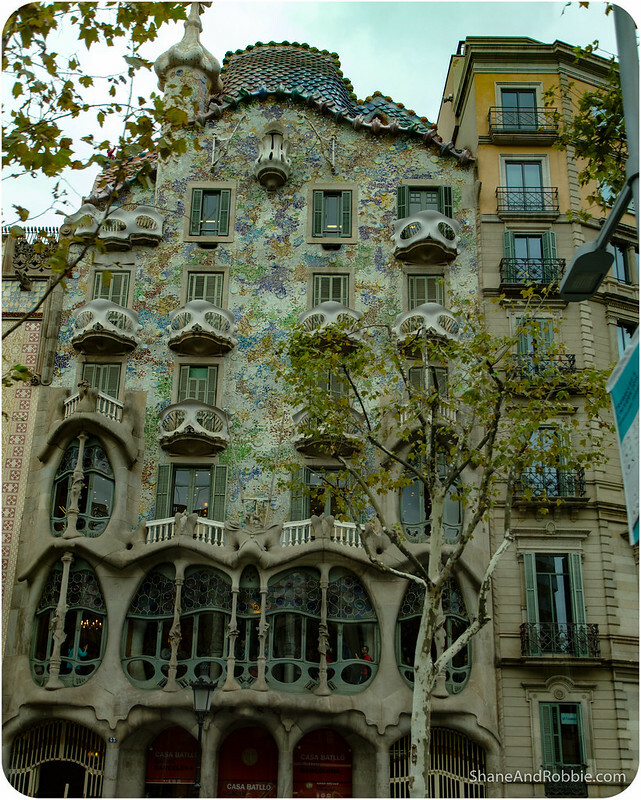 Instead our plan is to explore a few of the key areas and sights, and just take some time to soak in the city’s vibe and get to know Barcelona a little. 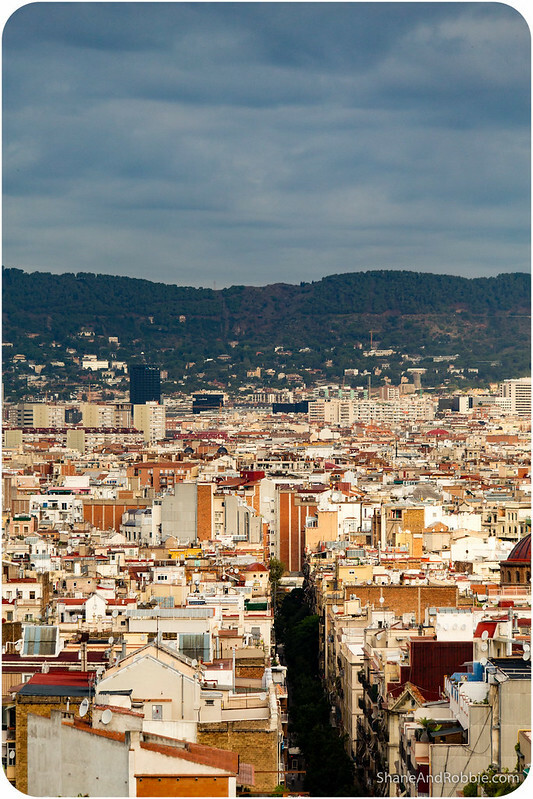 In 1992, Barcelona gained international recognition by hosting the Olympic games. 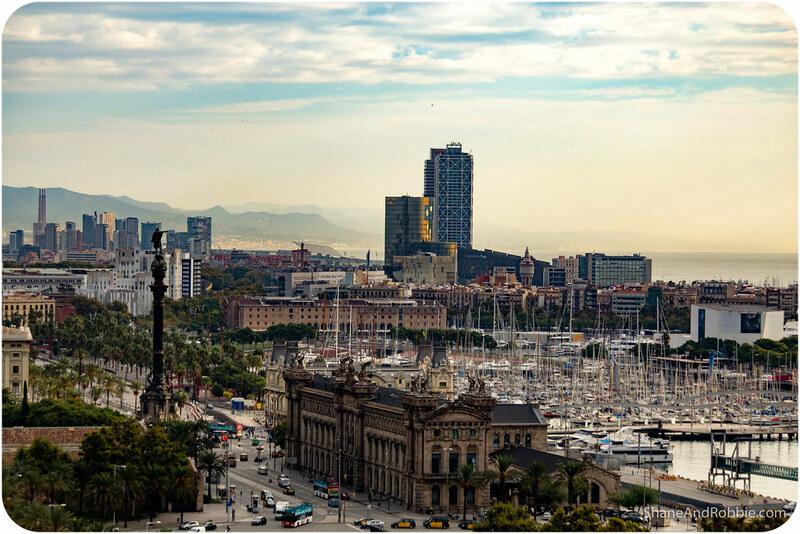 The games proved to be a turning point for the city, ensuring public moneys were spent on renovating and renewing many areas (like the old commercial port area and Montjuic), and putting the city well and truly on the map for tourists. 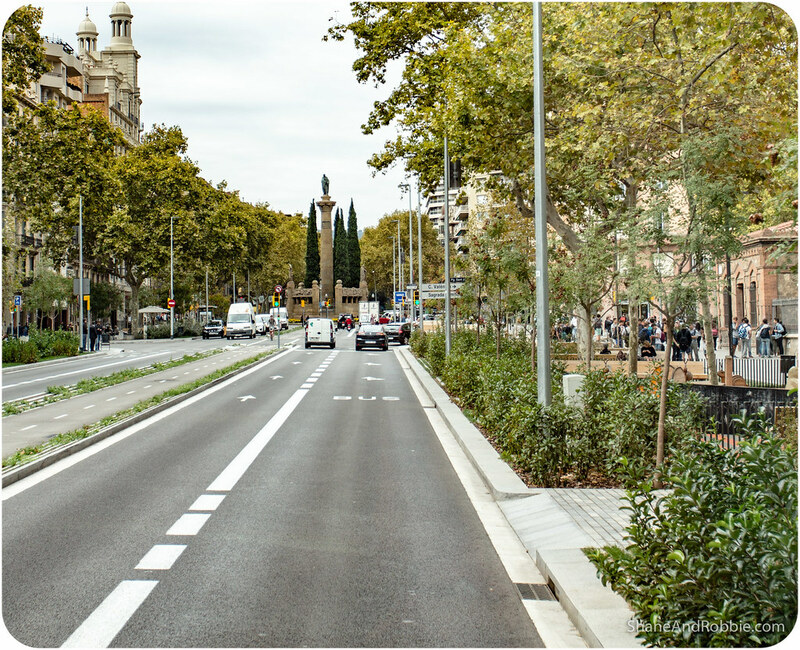 The end result of the works carried out in the 1990s (and since) is a city where the old and the new sit side by side, interwoven together to create a truly unique cityscape the like of which we’ve not seen anywhere else in the world. 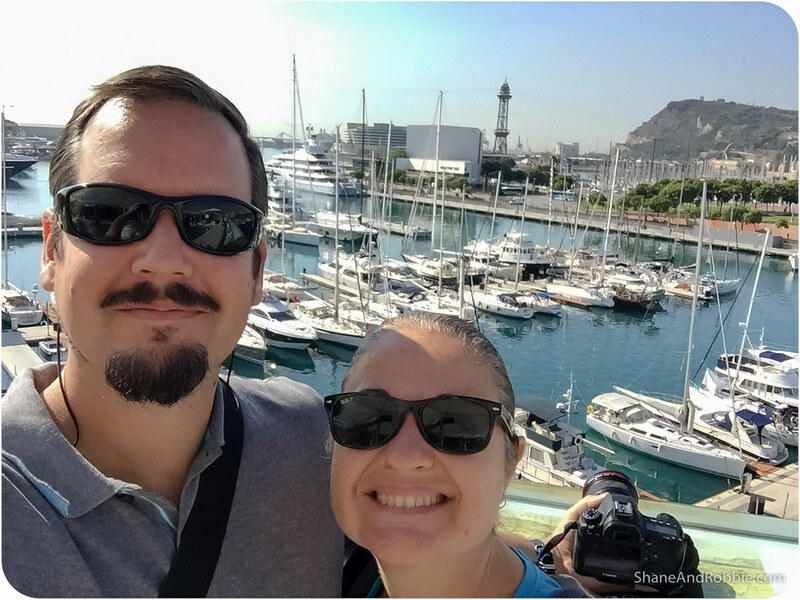 To get the best view of the city and orient ourselves a bit we started the day with a trip up to Montjuic, the highest point in the city. 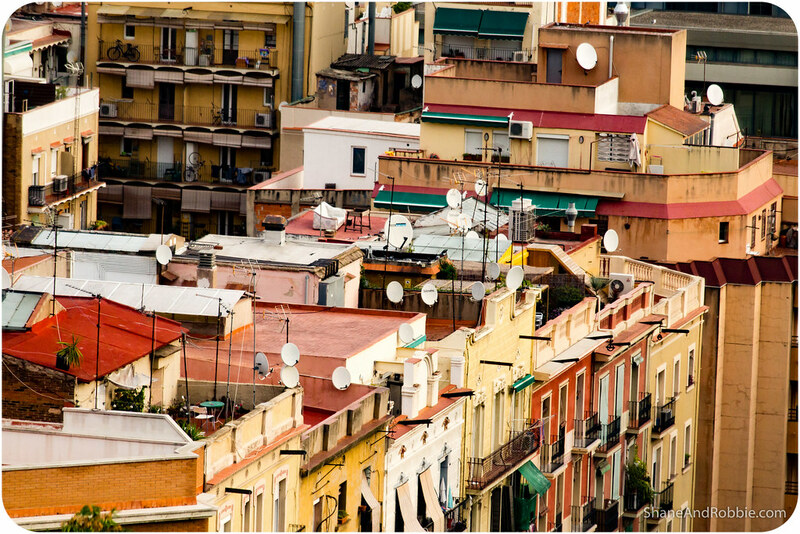 This broad, 185m-high hill sits just to the West of the Ciutat Vella (i.e. 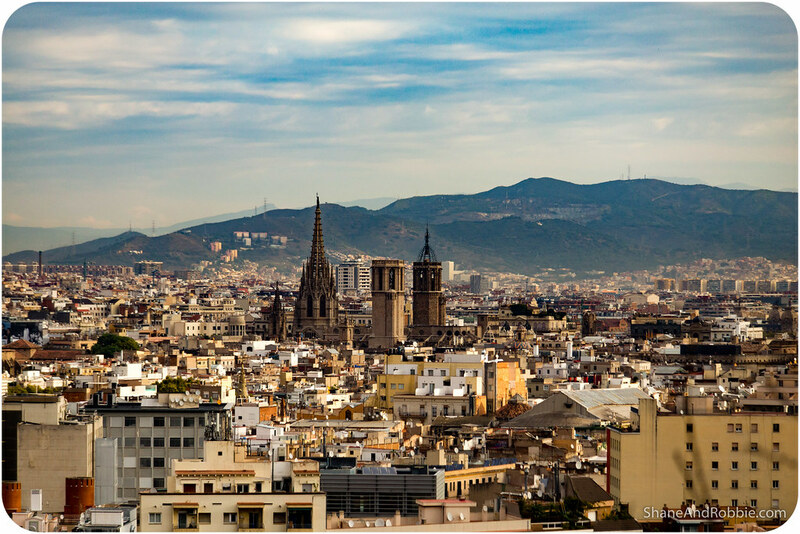 the old town) and is today a public space where Barcelonians come to picnic, relax, and enjoy the views. 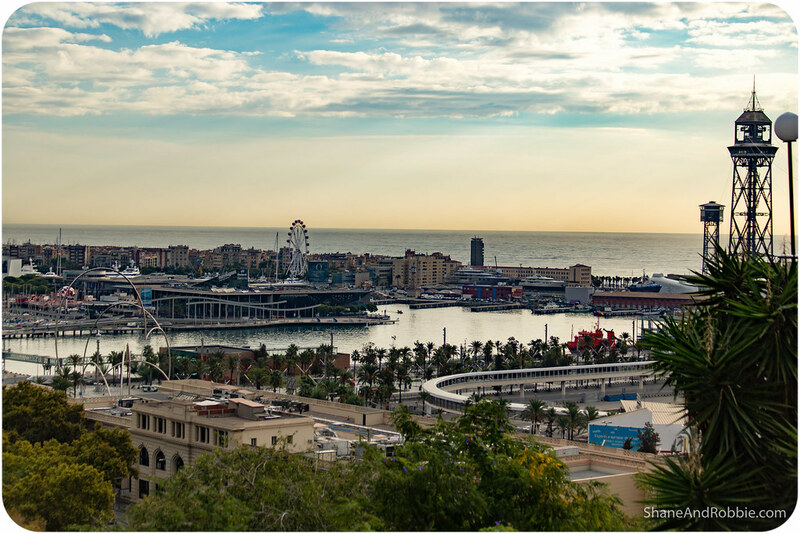 The hill is quite flat and it was on Montjuic that the venues for the 1992 Olympics were built, ensuring contestants and audiences had the best possible view over the city below. 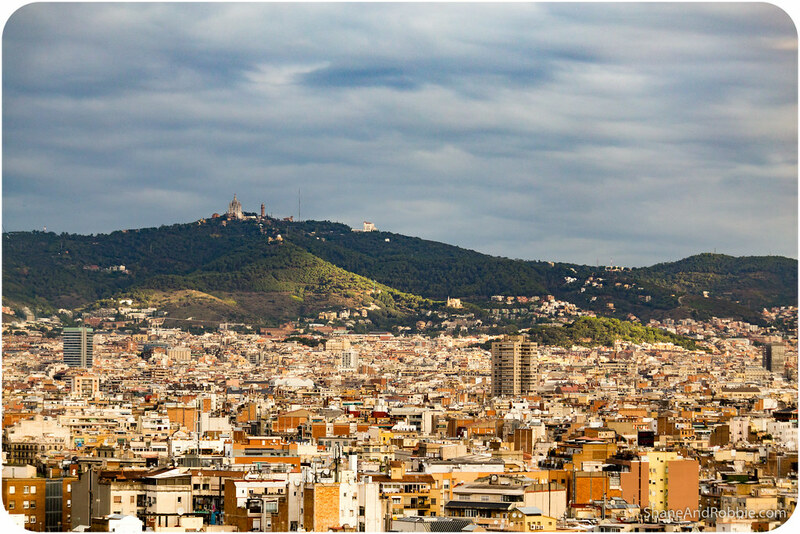 Some say the hill is named after the Jewish cemetery that once occupied part of the hilltop – apparently “Montjuic” translates to “Jew Mountain” in Medieval Catalan. 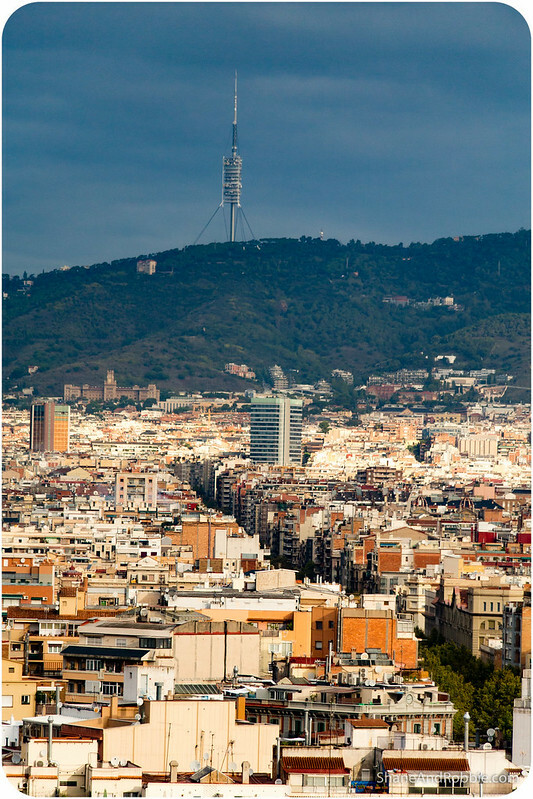 Others say the hill is named after the temple of Jupiter that once stood there, where Barcelona was a Roman citadel. 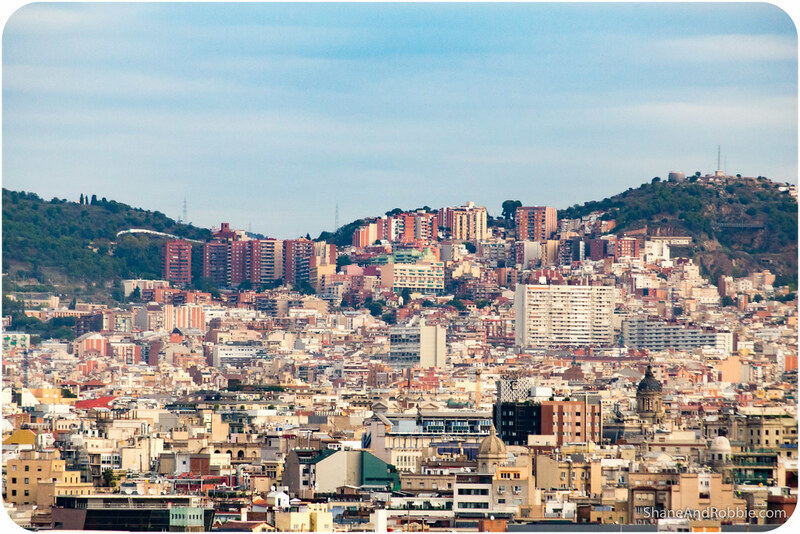 Whatever the origins of its name, there’s no doubt Montjuic makes a great vantage point from which to enjoy views over the urban sprawl that is modern-day Barcelona. 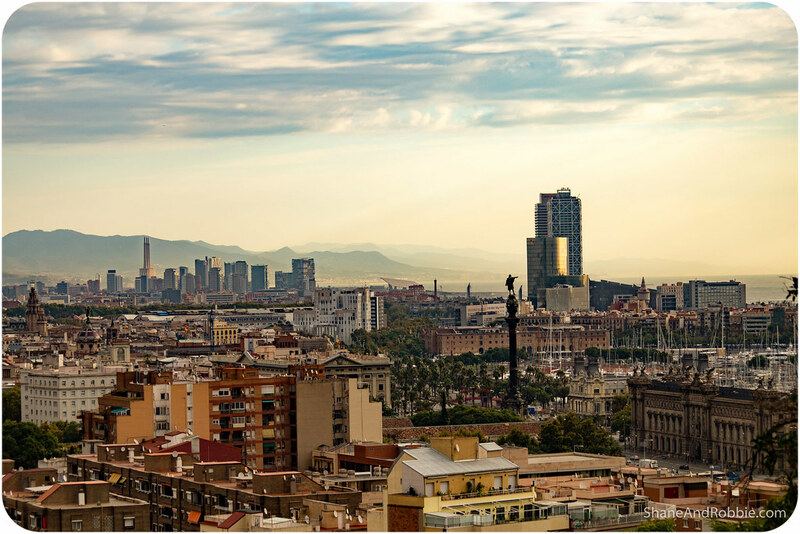 The colours of the city from Montjuic were incredible – with its many churches and unique blend of architectural styles, Barcelona sure LOOKS interesting. The eastern side of the hill is almost a sheer cliff, affording a commanding view over the city’s harbour immediately below. 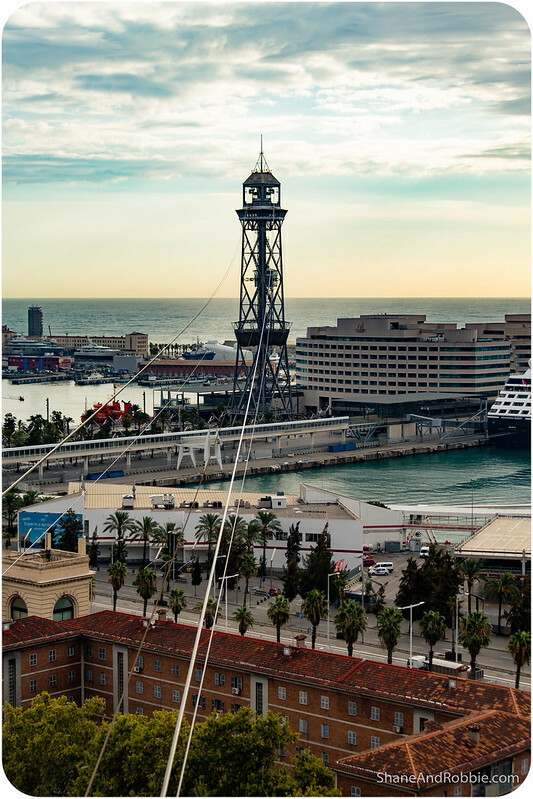 From there it’s an easy cable car ride down to the recently redeveloped harbour of Barcelona, where we spent the rest of our morning strolling along the waterfront. 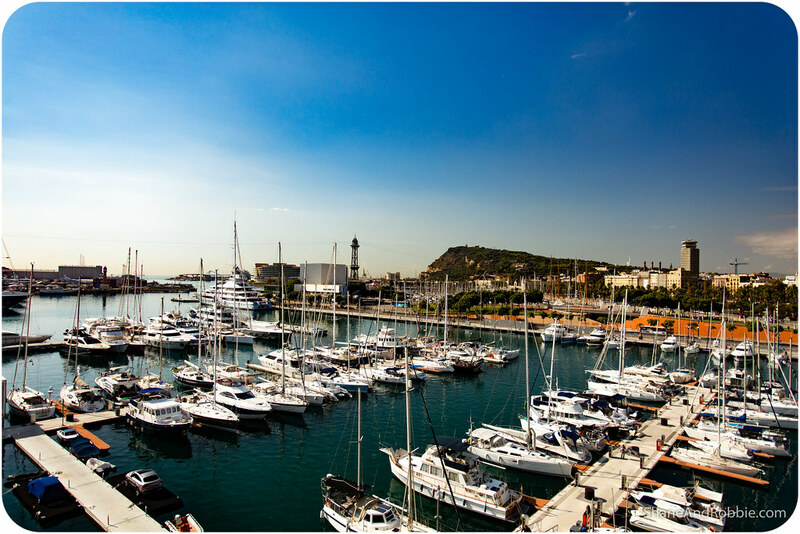 The Port of Barcelona has a 2000 year history, having been an important Mediterranean harbour since the times of the Carthegians and the Romans. Still today it s one of the busiest commercial and touristic ports in Europe, with thousands of container ships and cruise vessels docking here each year. 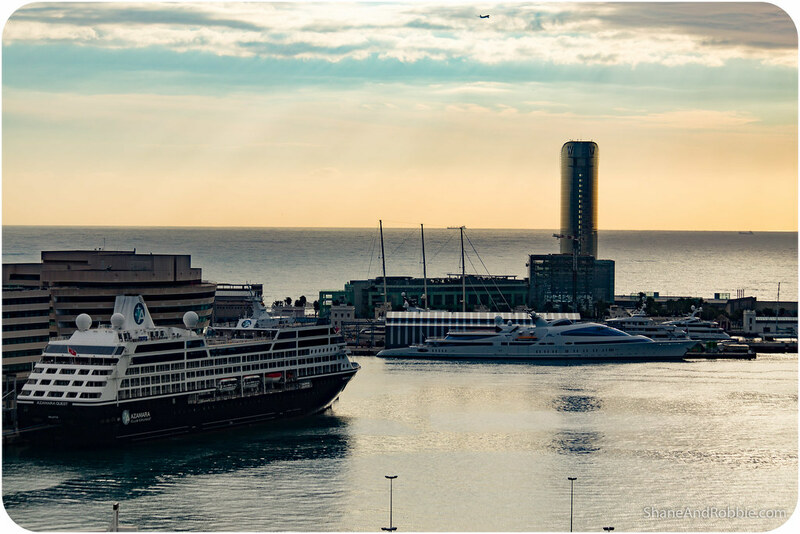 Today Barcelona’s port is divided into 3 zones: Port Vell (the Old Port), the commercial/industrial port and the cruise ship terminal. Before 1992, however, the whole area was gritty, industrial and not very visitor-friendly at all. 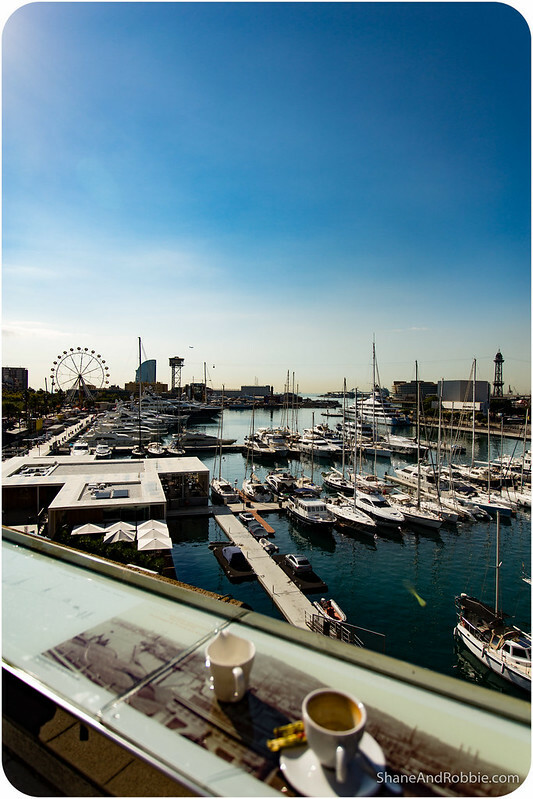 Now there is a large marina, a couple of hotels, a museum, a cinema, the Barcelona aquarium, and a shopping malls known as the Maremagnum (which also happens to be the only commercial mall in the city that can open on Sundays and public holidays). We spent some time walking along the waterfront esplanade, enjoying the warmth of the sun and relishing the change after yesterday’s cold, rainy weather. The city is busy at the moment, but not jam-packed like it is at the height of the summer tourist season, which is nice. 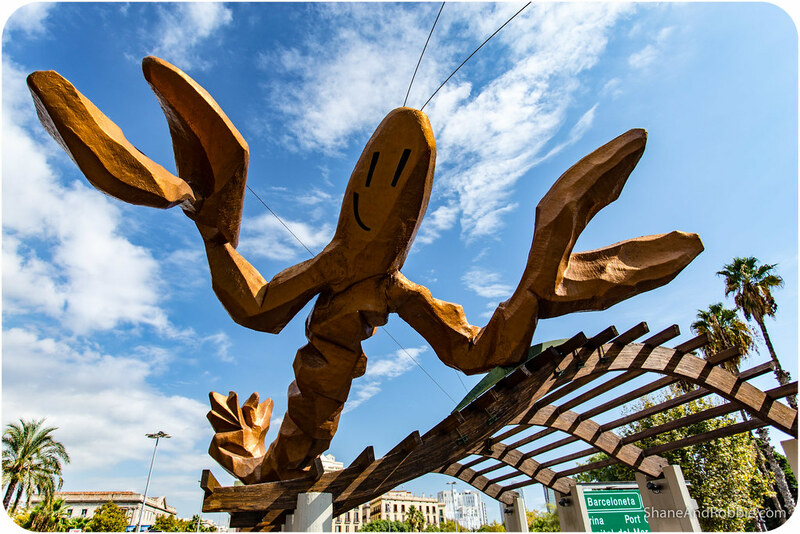 Along the waterfront there were a few interesting sculptures that we had to stop and admire, including this funky giant prawn/lobster statue. 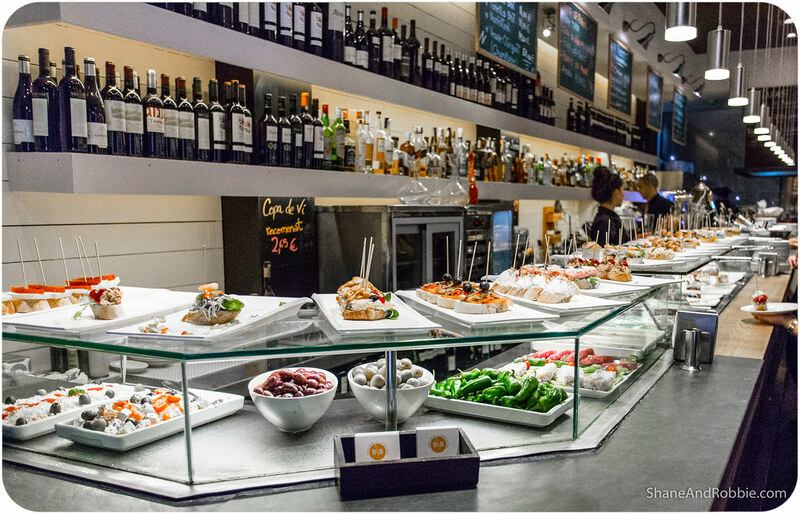 Originally part of the decor of a seafood restaurant, the crustacean was bought by the Barcelona City Council when the restaurant closed. 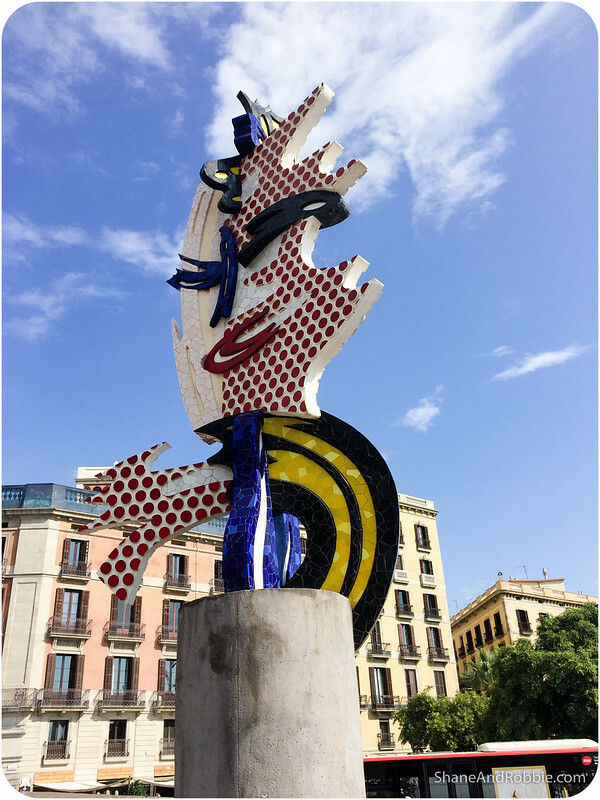 It now takes pride of place on Passeig Colom near the Port Vell. 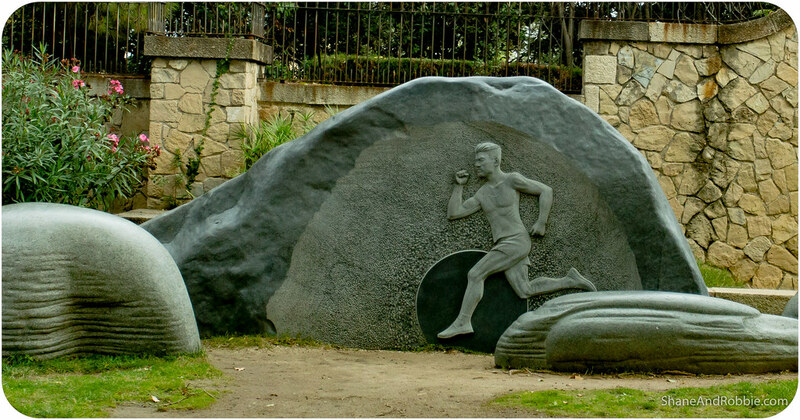 Other notable sculptures along the way were El Cap de Barcelona and the Columbus Monument. El Cap is a surrealist sculpture created for the 1992 Olympics that is said to incorporate elements from a number of Barcelona’s famous artistic sons, including Picasso and Gaudi. The Columbus Monument is somewhat older, dating back to 1888. 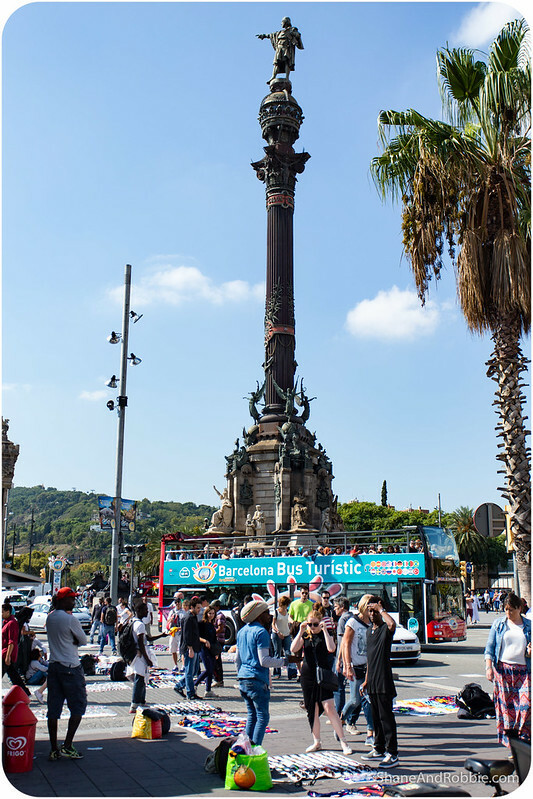 The statue honours Columbus’s first voyage to the Americas and is a worthy reminder that it was from Barcelona that Columbus set sail on his now famous journey in 1492. 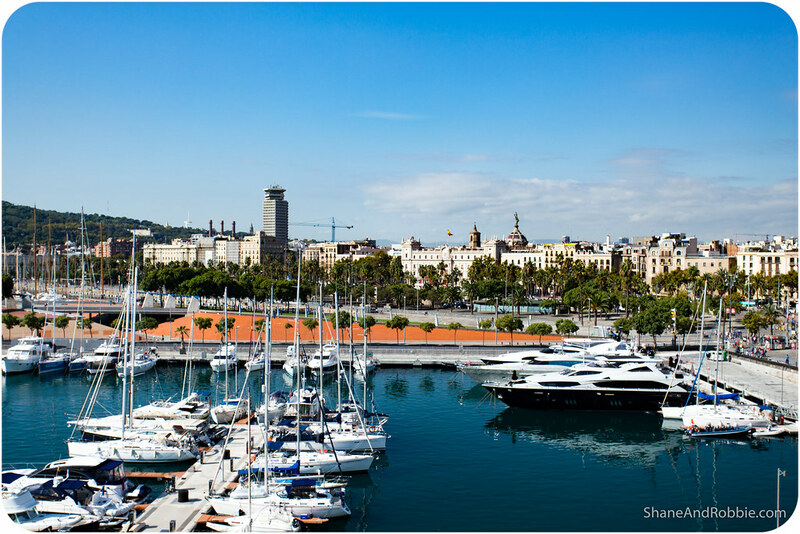 From the port we walked up La Rambla, Barcelona’s famous promenade that links the waterfront to the centre of the new town, passing through Ciutat Vella along the way. 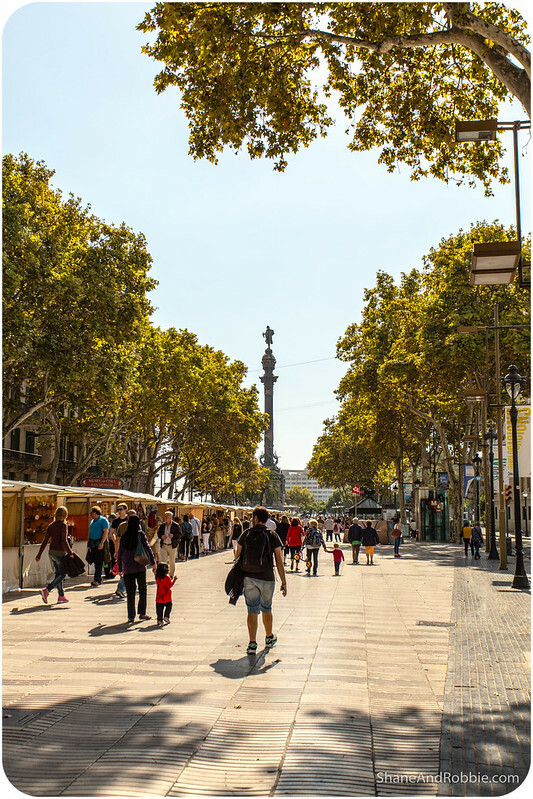 La Rambla was once a river that was diverted and paved over in the 15th century, creating one of the world’s most famous avenues. Tourists by the millions come to stroll along the tree-lined street, stopping to buy souvenirs form the may kiosks along the way or eating at one of the many restaurants there. The whole promenade is ridiculously touristy* and wasn’t really our kind of place, so we continued on and found a less touristy corner of town for lunch. 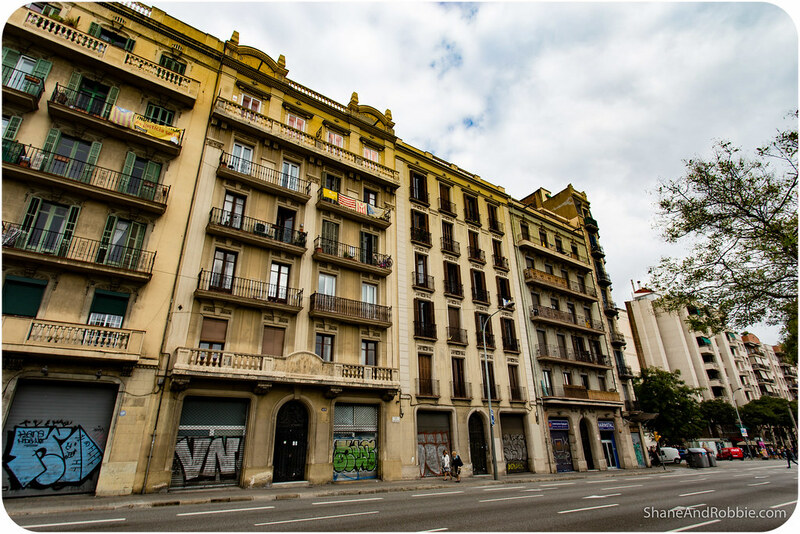 After lunch we continued on to an older (but still relatively new) part of Barcelona: Eixample. 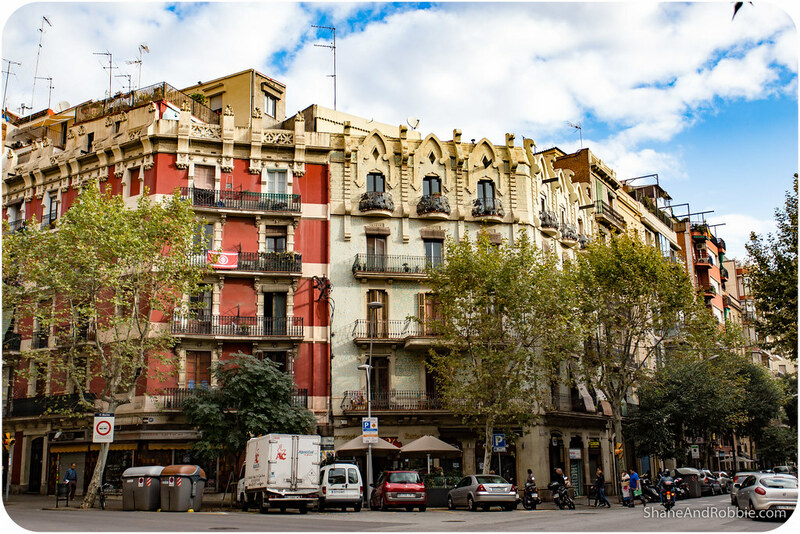 Built during the 19th century, when Barcelona outgrew its old Medieval city walls, the Eixample is characterised by long, straight roads; wide tree-lined avenues; and an easy-to-navigate grid pattern. 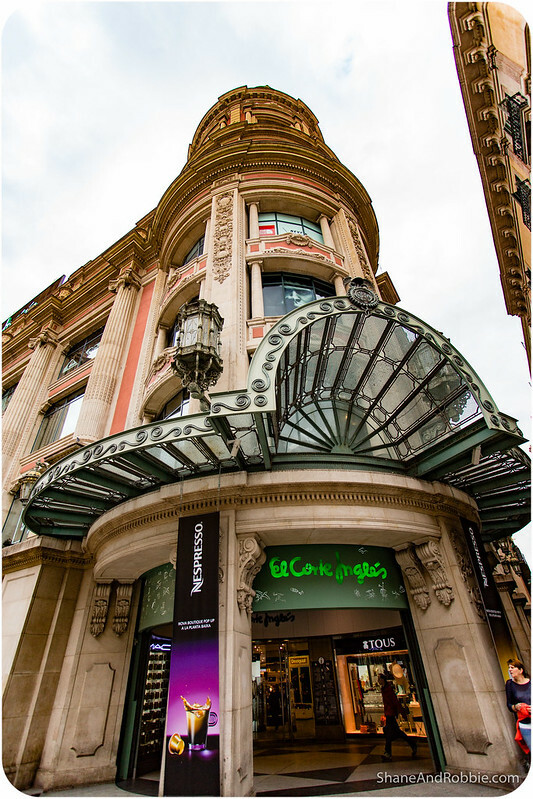 The area was built during the years of the Industrial Revolution, when Barcelona boomed. 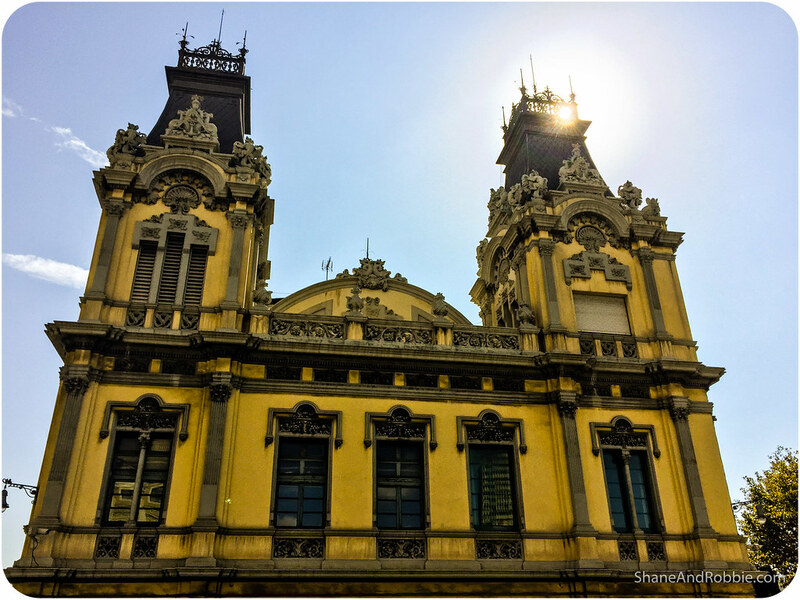 During the mid-1800s the city became Spain’s industrial powerhouse, attracting significant numbers of migrants from poorer regions of Spain (particularly Andalusia, Murcia and Galicia), which in turn led to rapid urbanisation. 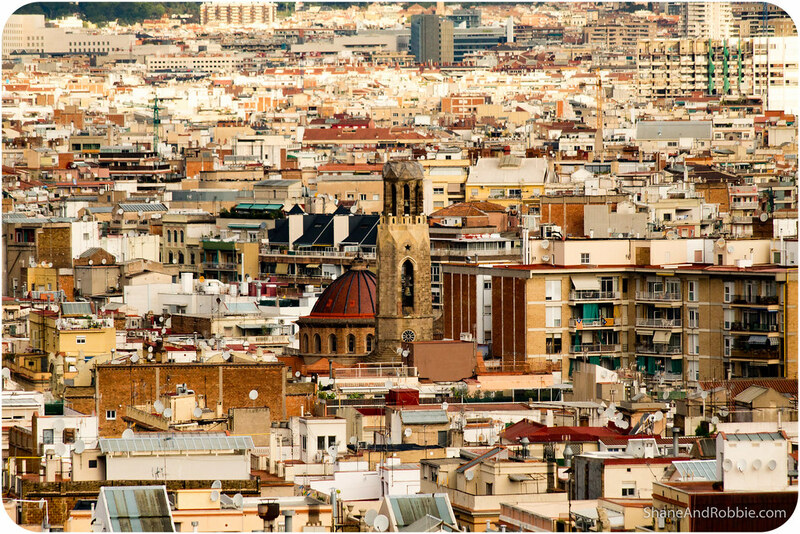 In a desperate bid to accommodate all these new inhabitants Barcelona’s city council had the old Medieval city walls destroyed and planned out the expansion of the city, creating the (relatively) modern, chic neighbourhood of L’Eixample*. 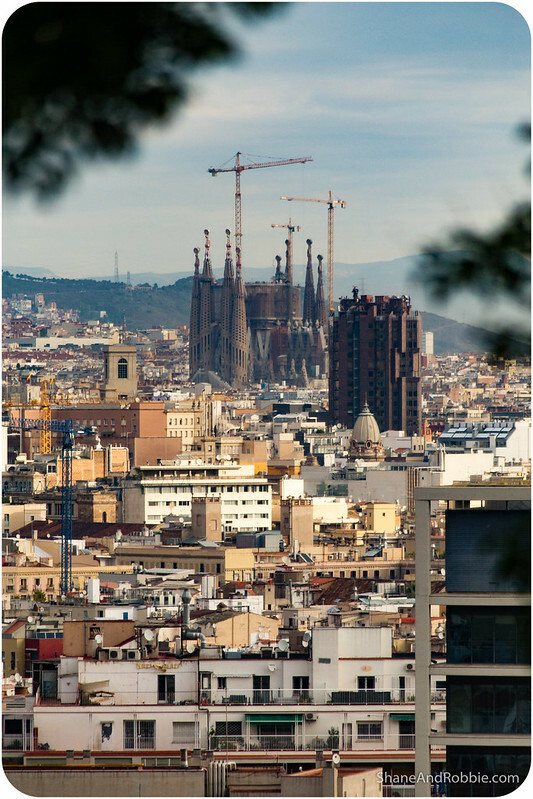 *The name even means “extension” or “enlargement” in Catalan. 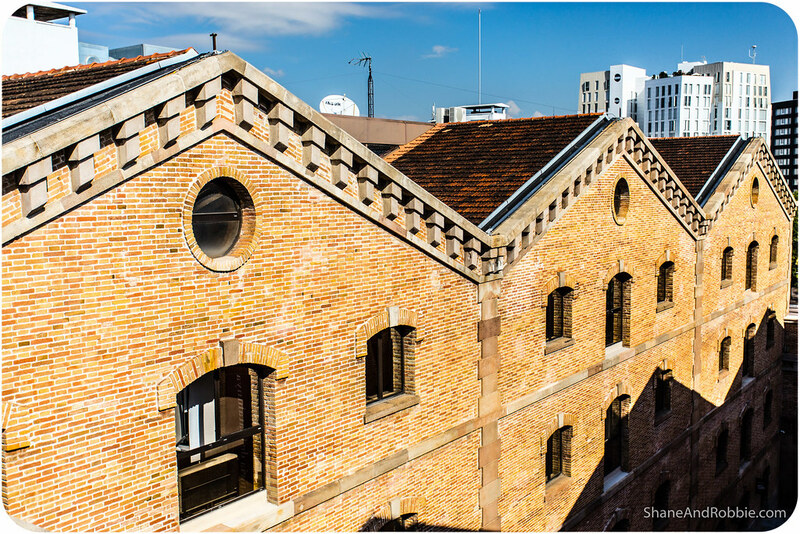 As the city’s wealth burgeoned many of the wealthy industrialists moved out of La Ciutat Vella and had new homes built in the Eixample. 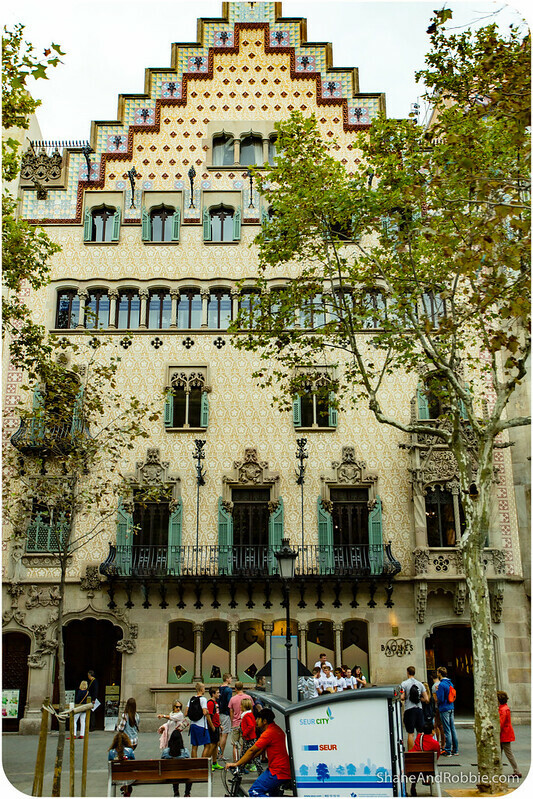 In order to ensure everyone could see how very wealthy they were, these families built grand mansions, many of which stand out even today for their ornate facings and beautiful art nouveau and Modernist architecture. 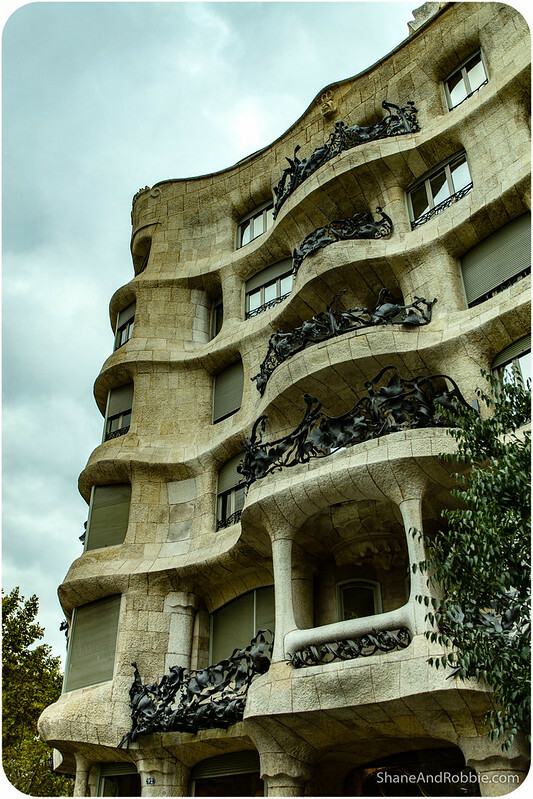 Some of the most famous buildings in L’Eixample were those designed by Antoni Gaudi, Barcelona’s most famous Modernist architect and artist. We saw a couple of these during our wander through the area and were so taken by their curvaceous lines and unique design that we’ve decided that we MUST see more! From L’Eixample it was a short stroll back to the accommodation we’re staying in. As is our wont we’re staying in a place that has a kitchen and allows us to live like a local (or at least try to). 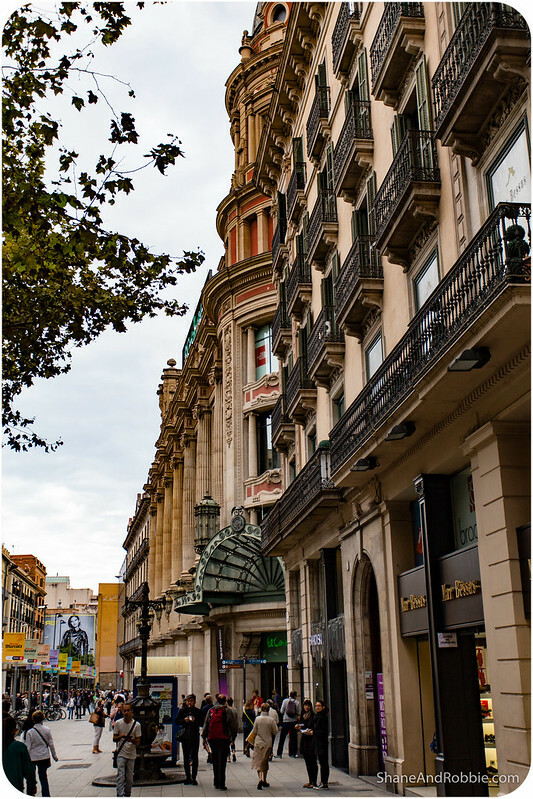 Situated in one of the 19th century buildings along La Gran Via Corts Catalanes, the apartment we’re in is lovely and gives us the opportunity to go shopping, cook for ourselves, catch the Metro and pretend, at least for a few days, that we too are part of this amazing city.